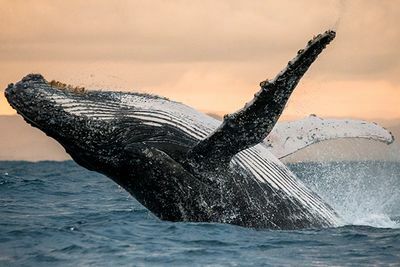 They (read: we) say the best things in life are but a few fin kicks from the beach. 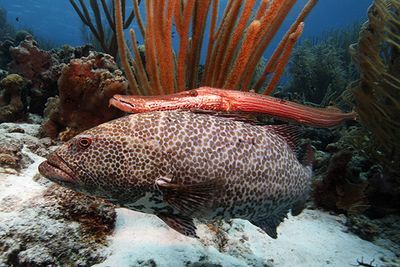 And here at Original Diving, we believe there are some pretty marvellous sights to be seen in the shallows. 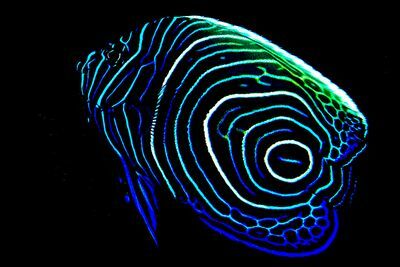 From some of the world's most beautiful coral reefs to magnificent wrecks, marvellous macro critters and even a Blue Hole, all but an amble from some of the world's most beautiful beachside settings. So whether you're an avid scuba diver, open water adventurer or snorkelling extraordinaire, we've rounded up our favourite spots that will shorely (sorry) pique your interest. 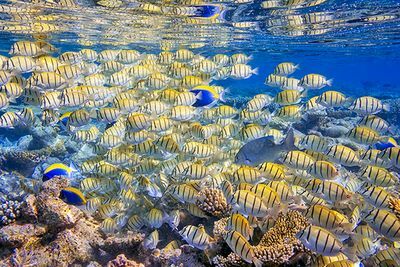 Wakatobi Dive Resort's house reef is home to a whopping 400 species of coral and 700 species of fish (officially recorded). Head out on a guided tour or enjoy a leisurely drift back to the jetty to waiting staff in time for sundowners. The protected reefs lining the shores of Azura Quilalea Private Island harbour all sorts of wonderful marine life, including green, hawksbill and leatherback turtles, reef sharks, sting rays, moray eels and humpback whales (seasonal). Forming a perfect circle around the island, Angsana Ihuru houses the best house reef in the Maldives with turtles, rays, sharks and 150 species of fish calling the reef home. There's even a diving concierge on hand to cater to your every whim. A real muck-divers paradise, spot blue-ringed octopus, pygmy seahorse, flamboyant cuttlefish, mimic octopus, hairy frogfish and harlequin shrimp at Atmosphere Resort & Spa - not to forget the mating ritual of the colourful mandarin fish after sunset over colourful coral outcrops. Conveniently located out of the hurricane belt, Bonaire benefits from great weather and calm, clear waters year round. Better still, the surrounding reef means there's a dive spot at every corner boasting incredible coral formations and abundant marine life. We can't stop talking about this Mediterranean gem (in fact, check out Gozo's best dive sites here). 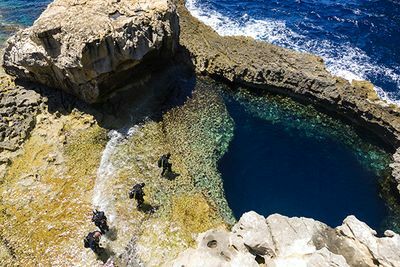 Access caves, wrecks, reefs and a big Blue Hole straight from the island's shores, with Thirtyseven Gozo greeting you on your surface intervals with warm robes and hot chocolate. Obviously. 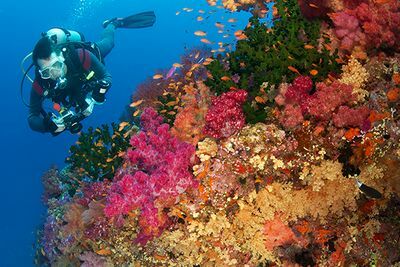 While there's no denying some of the best dive sites in the Red Sea require boat access (which we can arrange), the Oberoi Sahl Hasheesh has one of the best house reefs we've come across. Insider tip: look out for seahorses expertly camouflaged in the seagrass near the jetty. 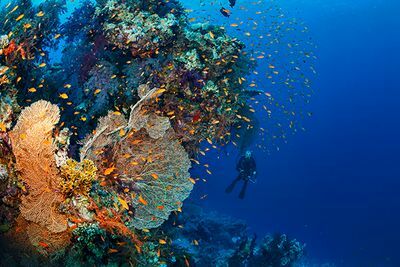 With a 100ft vertical coral wall, technicolour soft coral gardens (Fiji is the soft coral capital of the world, after all), drift dives, swim throughs and whirlpools of marine life, no dive is ever the same from Qamea. 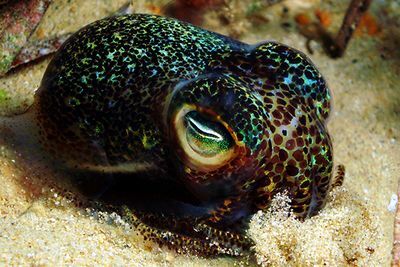 The critters residing in Lembeh Strait are so extraordinary they were featured in Blue Planet II (remember the bobbit worm scene?). 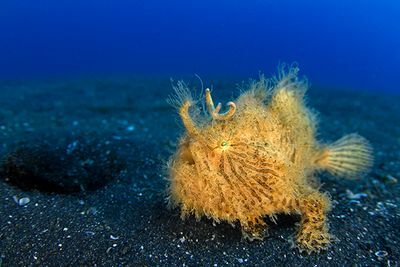 Expect eight different species of frogfish, 12 species of octopus and three species of pygmy seahorse, to name but a few.